Eight writers, radio, and multimedia science journalists from the U.S., England, and India have been selected to participate in the competitive Woods Hole Oceanographic Institution (WHOI) Ocean Science Journalism Fellowship program. The program takes place September 25-30, 2016, in Woods Hole, Mass., on Cape Cod. Since its establishment in 2000, the WHOI Ocean Science Journalism Fellowship has played an integral role in fulfilling WHOI’s mission to communicate its research and the benefits of its research to society. Science journalists are introduced to the interdisciplinary and wide-ranging fields of oceanography and ocean engineering. Through seminars with top scientists and engineers, laboratory visits, and brief field expeditions, Ocean Science Journalism Fellows gain access to new research findings and to fundamental background information in engineering, marine biology, geology and geophysics, marine chemistry and geochemistry, and physical oceanography. Topics range from harmful algal blooms to deep-sea hydrothermal vents; from seafloor earthquakes to ice-sheet dynamics; from the ocean’s role in climate change to the human impact on fisheries and coastline change; from ocean instruments and observatories to underwater robots. 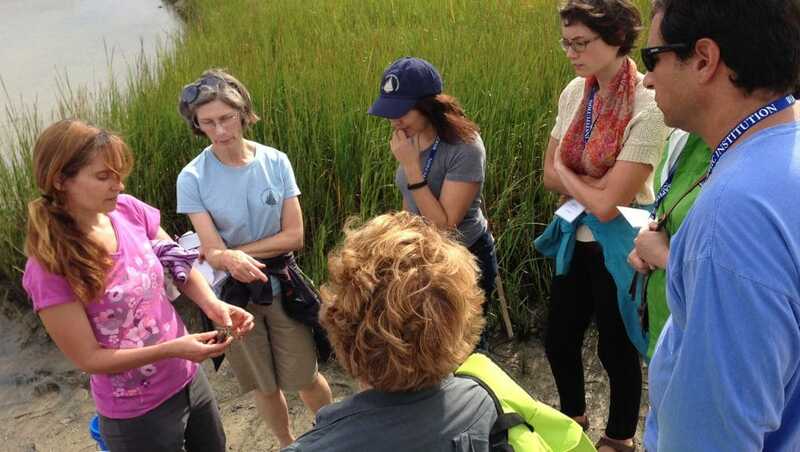 2015 Ocean Science Journalism Fellows on a field trip to Wood Neck Beach in Falmouth with WHOI biologist Annette Govindarajan (far left) and Woods Hole Sea Grant educator Kate Madin (left). 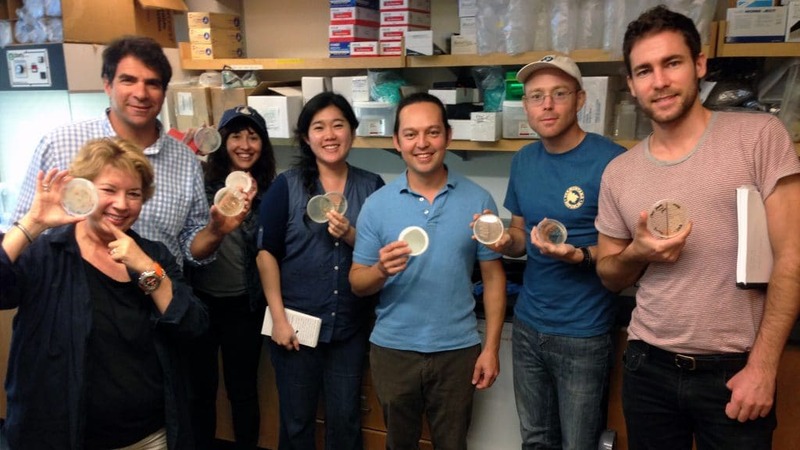 2015 Ocean Science Journalism Fellows with WHOI biogeochemist Mak Saito (middle, blue shirt) in his lab. For a microbiome project, the fellows gathered samples from the beach, ocean, and various surfaces. The cultures were later analyzed, revealing hidden microbes.